8 Great Resources for Talking to Kids about Drugs | BLH Technologies, Inc.
Rockville, Maryland ― Sitting kids down to talk about illegal drug use isn’t high on any parent’s to-do list. It is important to have these conversations, however; research shows that kids are influenced by household attitudes toward drug use. We’ve compiled eight resources from the National Institute on Drug Abuse (NIDA) to help start the conversation. DrugFacts: Cigarettes and Other Tobacco Products. This factsheet presents information on how tobacco affects the brain, as well as its other adverse health effects. It includes information about treatment options and statistics about tobacco use among 8th, 10th, and 12th graders. NIDA Homepage. 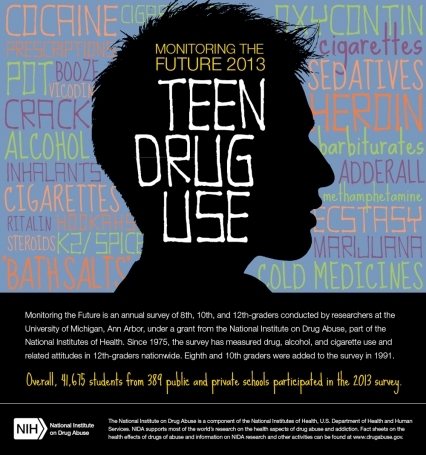 NIDA’s website has a wealth of information, with updates on drug abuse research and statistics, resources about drugs of abuse and related topics, and special sections for parents and teens. Drugs of Abuse: Marijuana. This page contains links to number of NIDA publications on marijuana, including Marijuana: Facts Parents Need to Know and educational factsheets. Marijuana: Facts for Teens. This publication, presented in a question-and-answer format, summarizes marijuana research, addresses marijuana’s effects and risks, and includes user comments from NIDA’s blog for teens. DrugFacts: MDMA (“Ecstasy” or “Molly”). A factsheet detailing what MDMA is, how it is abused, and its effects and health risks. DrugFacts: Heroin. Heroin has been getting a lot of media attention recently, and this factsheet can help you broach the topic with information on heroin’s devastating health effects, including its connection to infectious diseases. National Drug IQ Challenge. How about some friendly competition to test your knowledge of drugs of abuse and addiction with this 12-question quiz? The answers present valuable information on the science of drug abuse. Family Checkup. This guide shares questions and videos to help parents talk to their teens about drugs and drug abuse. Developed by the Child and Family Center at the University of Oregon, the questions touch on important parenting skills to help prevent youth drug use.